Whether you're putting your Colorado home up for sale or have just moved into it, you want it to feel comfortable during cold weather. Proper insulation and a furnace that functions efficiently creates a physically warm environment, but you also want your interiors to look warm. You can achieve that by following these decorating tips. Bare smooth surfaces look cool to the eye, which is why they are best used during hot weather. Texture, in the form of patterns and rough materials, looks warmer. Add patterned or shag rugs on top of bare wood, tile, or stone floors. Cover your sofas and upholstered pieces with furniture throws that are furry or woolen and use lots of pillows. Make sure your bed linens, tablecloths, towels, and window coverings have a repeating design on them. Replace accessories made of ceramic, glass, or metals with ones made out of wood or fabric. Summer denotes pleasant weather and greenery so bring in living elements to warm up your spaces. Container plants that do well in the winter include poinsettias, jasmine, begonias, and amaryllis. Decorate your walls, doors, and windows with wreathes and garlands made of fresh or dried foliage. The sound of running water is scarce in the winter so put a small fountain on top of a table or two as an auditory reminder of warmer days. The memories of pleasant holidays can provide emotional warmth. Remind them of childhood celebrations by decorating for specific holidays. When appropriate, set up pumpkins, Christmas trees, or even Valentine hearts. Bake special treats like gingerbread cookies or pumpkin pie so the aroma of delicious food fills the air. This olfactory stimulation will make your visitors hungry, so you can satisfy their taste buds with what you've cooked up. For more information on setting up your home for winter, or if you want to buy or sell a Colorado property, please contact us. Denver living is all about scenic beauty and an eco-friendly philosophy. Throw in a little sugar, and you’ve got the Church of Cupcakes. While the Wall Street Journal is warning that these little sweets may be on their last legs in Manhattan, they still get a lot of love in Colorado. Porche, the owner, has parlayed her previous experience with the Food Network and local shops into a fresh approach to pastries. She says they make her soul happy like hiking a mountain or kayaking a river. In addition to t-shirts and other retail items and in-shop games, there’s an irreverent menu with selections like Missionary Vanilla and Sprinkle Salvation. They’re all organic and locally sourced. If you’re tired of dried out cupcakes bigger than your head and buried under 6 inches of frosting, you’ll appreciate the dimensions here. There are mini and medium sized options perfect for sampling. There’s also a commitment to keeping them buttery and moist. In keeping with the religious theme, you’ll find a tablet of the 10 cupcake commandments stressing baking from scratch, composting, renewable packaging, pasture raised eggs and dairy products, and other green practices. There’s no place to confess your sins. However, you can take shelter behind the curtains of the confectional full of props for taking cute pictures of your visit. Drop by the shop yourself or let the cupcake tricycle come to you. The fixed location is in a modern condo building at 1489 Steele Street (A few blocks south of City Park) with garage parking. Even though it’s called a church, it’s closed on Sundays. But keep your eyes open. Sunday school baking classes are in the works. For more info, stop by their shop or check them out at: churchofcupcakes.com. When is the Best Season to Sell your Colorado Home? The answer is obvious... or is it? In the summer, the longer daylight means more buyers can visit your home when the sun is still out. And fair weather turns open house visits into a comfortable and enjoyable experience. In the winter, freezing temperatures and snow may keep people at home which may prevent potential buyers from reaching your property. If you keep your house off the market when the weather turns cold, you miss some big advantages. First, less competition because other home-sellers have pulled their listings. Second, a new audience of out-of-state Coloradans returning home for the holidays and reunions. They may want to stay permanently if they can buy your property. In the summer you will probably have more showings, but some buyers are not serious and just like to look at homes to get decorating ideas, or are just nosy. We see this so often in the summer, that we have an industry wide term for these types of people, we call them "looky-loos." They are a big waste of everyone's time and energy. When a buyer trudges through the snow and/or endures the bitter cold to see your home, you know they are serious buyers and are likely interested in your home. Why is THIS Winter the Best Time to Sell in Colorado? Housing inventory is extremely low in Colorado right now. This means that there are currently more buyers looking for homes than there are homes for sale. The effect of this is multiple buyers wanting to buy the same house. This equates to homes selling faster and for more money! Every spring there is a large increase in home inventory, which means this selling advantage will diminish and possibly go away all together. This hot sellers market is based on the simple concept of supply and demand. If you are thinking of selling your home, there is no better time than now! Call us today to learn more about the hot sellers market, how to beat the spring rush, and how to strategically attract multiple buyers for your home. A primary challenge is that you have to prep your home differently. Start by making sure it's well-sealed from the cold. Caulk any cracks that lead to the outside and weatherstrip around windows and vents. If you don't, drafts may force potential buyers to wonder about your insulation. Clear a path to your front door, especially after a heavy snow. Otherwise, how are buyers going to enter your home? If you want visitors to look at other parts of your property, such as the view from your upstairs balcony, make those areas walkable as well. Finally, make your interiors warm and comfortable so buyers will want to linger. Get a fire going in your fireplace and put some lit candles on the dining table. Open window coverings to let in natural sunlight and turn on all the lights to brighten your rooms. If needed, add lamps and other portable fixtures to dark corners to dispel any gloom. Looking for more information on selling your home in the winter? Maybe ready to put your property on the market? Give us a call: 720-515-4781 or contact us here. Weld County Commissioner Sean Conway is leading an effort to have several counties of Northern Colorado secede to form their own independent state. Possible other counties to secede with Weld include Morgan, Logan, Sedgwick, Phillips, Washington, Yuma and Kit Carson counties. The idea seems to come down to rural Colorado feeling they are not receiving adequate representation in the state due to their smaller population. 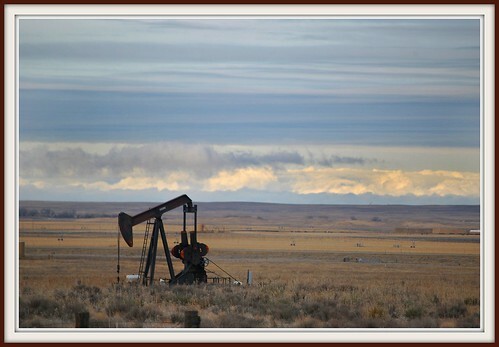 Northern Colorado produces a disproportionately high amount of the state's revenue due to the vast oil and natural gas reserves throughout the region. Residents are dissatisfied that an insignificant amount of that revenue comes back to their region to support infrastructure and schools. Additionally, the passing of controversial S.B. 252 which requires rural utilities to get 25 percent of their electricity from renewable energy sources by 2020 and places burdens on oil and gas companies seems to be an influential factor in Conway's stance. This issue could show up on the ballet as early as November. We're working to provide the best way to search for homes in Colorado and provide clients with the best Realtors® in all of Colorado. Join us for a better Colorado real estate experience than anywhere else. We aim to please. If you have any suggestions for the site, please leave them in the comments below.